Bangui (Agenzia Fides) - "The human person is sacred and inviolable. All agents of public power, all organizations, have an absolute obligation to respect and protect the human person ". 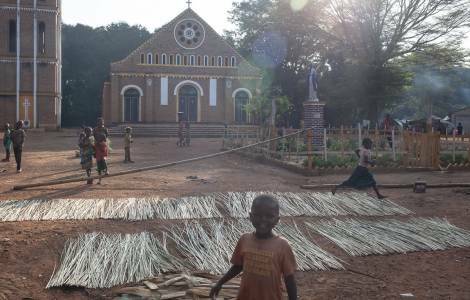 This is the first article of the Constitution of the Central African Republic, recalled by the local Bishops in a communiqué in which they ask the authorities to stop the violence that has been afflicting the country since 2012. The document, sent to Agenzia Fides, was published at the end of the extraordinary session of the Plenary Assembly of the Central African Episcopal Conference held on November 24th. After denouncing the violence that have bloodied Bangui, Bambari, Batangafo and Alindao, the Bishops invited "political authorities, diplomatic corps, representatives of national and international institutions, the press and the population to the meeting scheduled for Monday 26th November at the archbishopric to restore the truth about the unacceptable and hateful crimes committed against the civilian population".